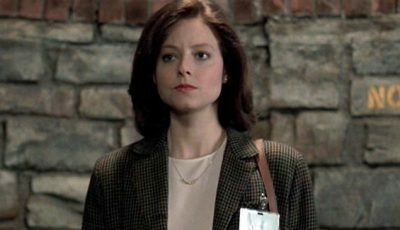 Before The Silence of the Lambs and Philadelphia, acclaimed filmmaker Jonathan Demme was finding his feet with genre films and exploitation. Last Embrace, an unashamed homage to Alfred Hitchcock, has its moments but lacks the finesse and the energy of Demme’s best work. Sometimes homage is less flattering, more distractingly artificial. Last Embrace, which channels Hitchcock right down to the director’s own cameo, in this case Jonathan Demme, is a 1979 murder-mystery starring the ever-dependable Roy Scheider. Prior to The Silence of the Lambs director finding his true calling in the 1980s and 1990s, Demme cut his teeth as a director-for-hire, mixing and matching genre to develop a truly eclectic but strangely uneven body of early work. Following the likes of exploitation flick Caged Heat and romantic drama Swing Shift (during which he warred with stars Goldie Hawn and Kurt Russell on the tone of the film), he made thriller Last Embrace which incorporates bits of both previous works. But he’s not the well-oiled helmsman of his later features here. 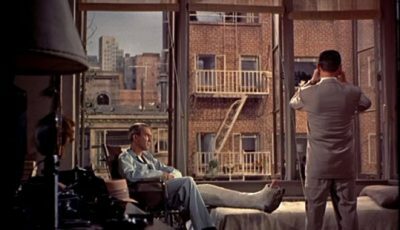 Indeed, even with the best of intentions, this “wronged man” motif so popular with Hitch during his heyday falls foul of over-complication and homage that turns unwittingly to parody. Scheider is Harry Hannan, a government agent who suffers a mental breakdown after the death of his wife during a field operation. Following a stay in hospital to recover, he returns home to find a stranger (Janet Margolin as Ellie Fabian) living in his apartment. He’s suspicious and paranoid, his nervous disposition not helped by the belief his old employers are plotting his assassination. When he discovers a threatening letter written in Hebrew, his investigation leads to the revelation that other men have received a similar note and that he is the only one still alive. Demme certainly hits the throttle. You can’t criticise him for a lack of pace. We hurtle into Hannan’s situation – first the Mexican shoot out, then, after leaving hospital, the realisation someone is trying to kill him – and Scheider is the sort of actor you can’t help but root for. But he’s hampered by a script, based on the novel The 13th Man by Murray Teigh Bloom, that remains uneven throughout, unsure whether to concentrate on character or plot. It ends up mastering neither; a misguided attempt at Hitchcockian suspense. In lacking dramatic invention it fails to motivate our sense of intrigue. Inevitably we’re left with a final payoff feeling oddly flaccid. It is as unremarkable as Miklos Rozsa’s melodramatic score; unwittingly elaborating the soap opera nature of Hannan and Ellie’s emerging love story. It isn’t helped by Demme’s caffeinated camerawork. 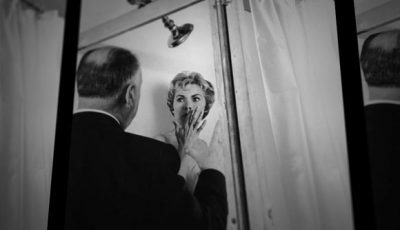 His determination to mimic the auteur who brought us Psycho and Rear Window sees our point of view become a obtrusive distraction from the unfolding drama. Perhaps the director senses the limitations of the screenplay so overplays his hand but there’s enough intrigue here to just let the story flow. Indeed, with Scheider leading the cast, you need only point and shoot. Ultimately, he’s hamstrung by artificial staging, old-fashioned melodrama, and meandering mystery. 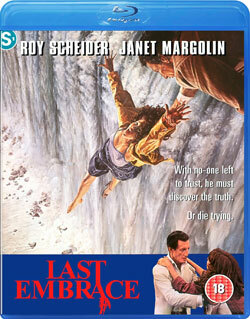 Last Embrace does, however, enjoy a vein of ambiguity that captures that seventies paranoid Cold War sensibility. It isn’t in the same league as Three Days of the Condor, for example, but Scheider has an innate ability to make you care. He’s a man living in a threatening environment, unable to trust anyone, anxious at every turn. Piecing together his predicament brings with it an urgency otherwise lacking. It’s another appealing performance from the actor that stands out, and is worth seeing, despite the shortcomings of Demme’s efforts. Top 10 Films reviewed Last Embrace on Blu-ray courtesy of Signal One Entertainment which released the film in October 2015. If we were to cross fertilize lists for a moment, this one has a fairly funny Chris Walken cameo. And he’s brilliant as usual. It’s that unmistakable voice! Similarly, I watched The Ninth Configuration recently and would happily add Blatty’s cameo to the list. In terms of Last Embrace, I was eager to see the film given I’m a fan of Demme’s work – particularly his “middle period” starting with Something Wild. And it’s great to see it arrive on a good quality Blu-ray. But here it does feel like he’s channeling Hitchcock rather than finding his own voice. 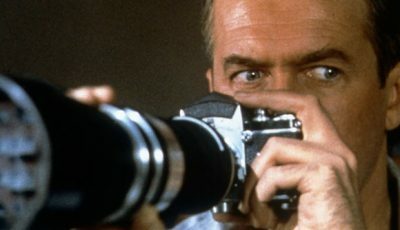 Others have done the same – Curtis Hanson with The Bedroom Window, D. J. Caruso with Disturbia, and Robert Zemeckis – more successfully – with What Lies Beneath. Last Embrace is evidence of Demme’s abilities across genre though given that his two best films – Something Wild and Silence of the Lambs – are very different (despite them featuring bloody conclusions and a predominating male/female dynamic).